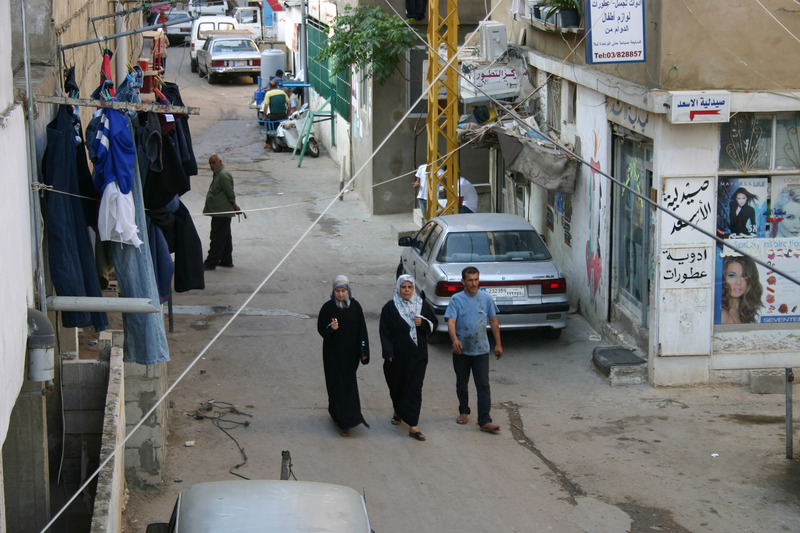 I visited a Palestinian Refugee Camp in Beirut: Shatila. And I had my camera and I had my guide and we walked the camp and we talked to people and they explained to me about the massacre that occurred in the 80s and the blood and the poverty there was horrifying. 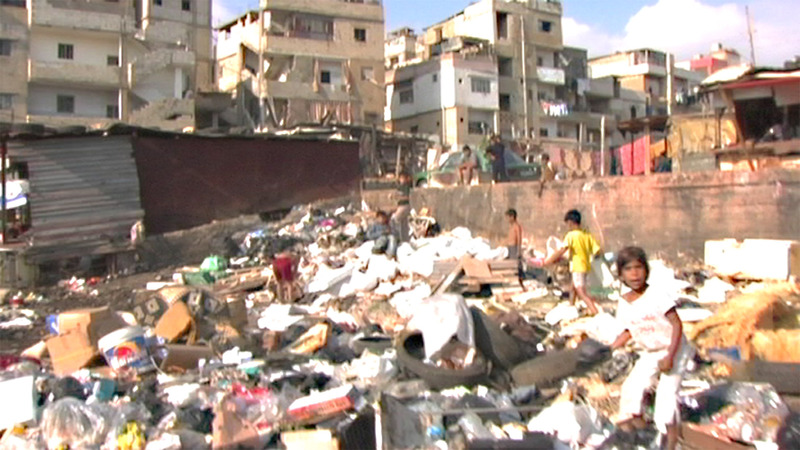 Children playing in fields of trash and debris and broken glass. And they saw me with my camera and they were about to throw things in my direction. And we moved on. And we walked the streets of the village and we talked to people and there were children playing. And there was an ice cream truck and a cybercafé and there was a sense of life and some connection with the world. 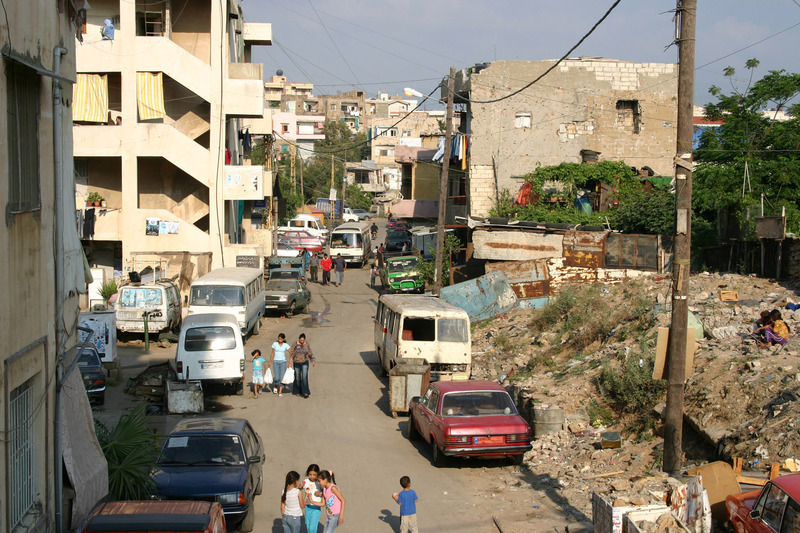 But the people there imprisoned, they couldn’t work, they weren’t allowed to get jobs in Lebanon. They had to stay in the camp. And the poverty and there was no escape. But then, I met two artists, two young artists, and they had been painting murals on the walls of the houses in the village. And they had collected enough money from all the villagers, all those poor refugees, and they had collected enough money to buy art supplies and a camera to document. 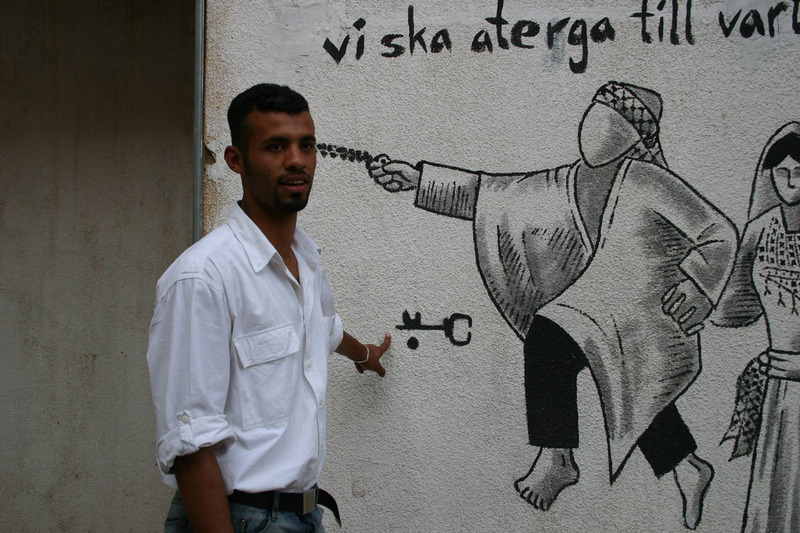 And they painted stories, they painted their stories on the walls of the camp about wanting to return to their home, to Palestine. 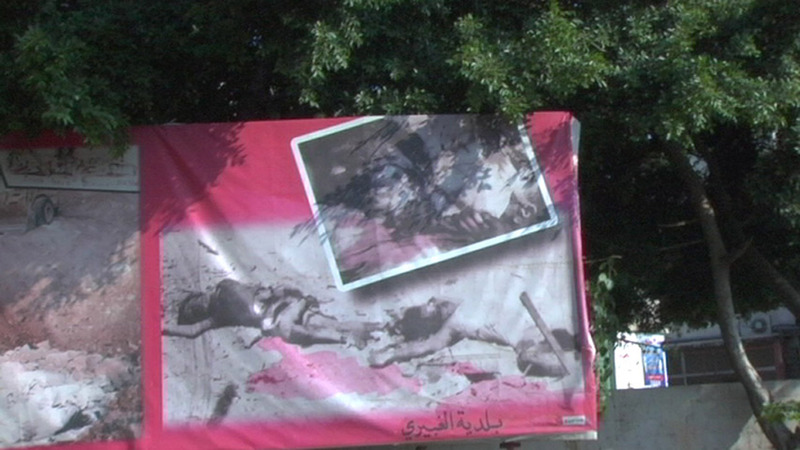 And I could I could see the yearning and I could see the hope in those two artists as they led me through the streets of Shatila. I could see the hope in their movement and the way that they talked with pride about their stories. But they were really trapped in that village. But despite their inability to escape that life, they painted, they painted their hopes and their dreams, and they had taken responsibility as artists to convey what it felt, and what it meant to be brought down. What it meant to be without hope, but the key below representing the right of return. But there was hope on the walls. There was great hope that came from the hopelessness. And I could only think about the American Pavilion at the Venice Biennale. And I wanted to go there and I wanted to take responsibility as an artist to show the power of art, to confront our world and what it had become in the darkness. Because there was light in that camp in Shatila whereas I only saw darkness in America and I knew I had a job to do like these two young Palestinian artists who pointed the way.